No – not the Two Towers of Tolkien fame, but pretty much an eyesore. This is Wheating Hill. It sits just over a mile east of Feckenham, on the old Roman road that ran from Alcester (known as Alauna to the Romans) and Droitwich (Salinae). The Roman road itself follow the line of an even earlier Saltway. 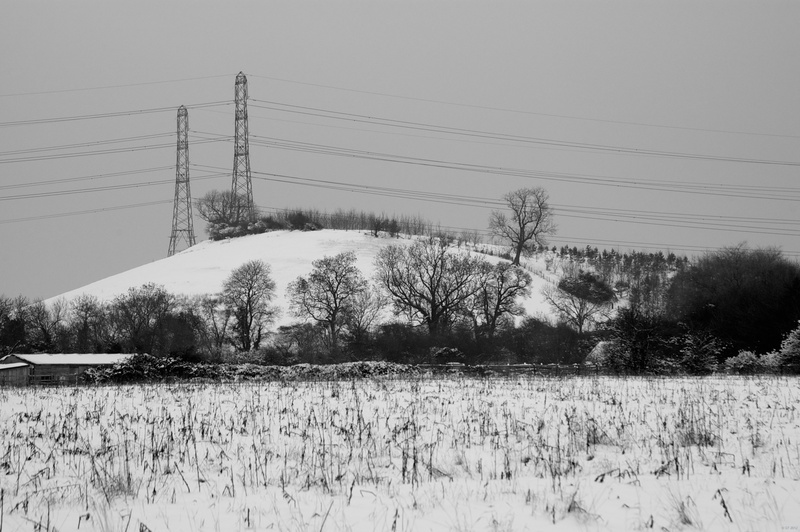 The escarpment of Wheating Hill would be a fine viewpoint, apart from the obvious intrusion of two enormous transmission towers. There is even a nice seat near the higher of the two towers, but the humming of two sets of power lines is quite loud. High contract black and white was again the order of the day.